Are you looking to stop the Red Headed Pine Sawfly in its track? Consulting a certified Arborist ensures your tree will get the best care when under attack. Pesticides may be recommended as the best course of action. The pesticide chemicals aid in destroying insects or other organisms harmful to cultivated plants or animals; a perfect match for the Sawfly. 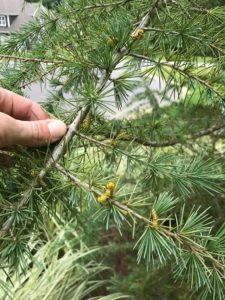 Protect your pine tree health: Be on the lookout for the Red Headed Pine Sawfly worming around this season.